A bat-like robot may soon be the superhero we’ve been waiting for. Inspired, a team of engineers from the California Institute of Technology and the University of Illinois developed technology that mimics the bat for their “Bat Bot.” Their work was published Tuesday in the journal Science Robotics this week about the exciting new innovation in aerial technology. Bat Bot has skin-like silicone wings, carbon-fiber “bones,” and 3D-printed joints, which all give it the ability to glide through the air with precision. 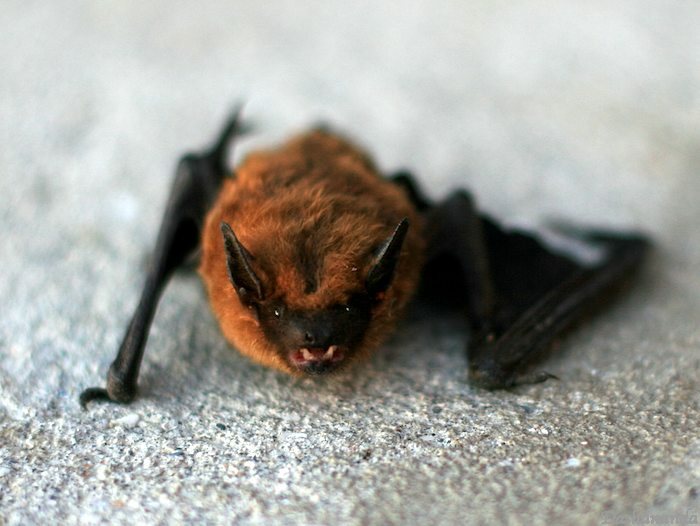 The bat’s evolutionary complexities make it an awesome flying machine: With more than 40 joints and 200 bones in its tiny frame, the nocturnal mammal is both agile and wickedly fast, with some species achieving speeds of up to 60 miles per hour. A GIF of Bat Bot shows its range of motion. Previous prototypes of this intricate skeleton incorporated every aspect of the bat, which resulted in a bulky and dense structure that could hardly get off the ground, but Bat Bot uses only the most critical components of a bat’s biology for flight. The new structure, combined with very light materials, makes for a robot that weighs in at just 93 grams (a fifth of a pound). As Chung explains, the wings move independently. The tail has two sides that move asymmetrically and it’s able to fill its wings with air to rise, and expel the air to descend, a process called “dynamic soaring.” It can perform sophisticated moves like diving, cutting at sharp angles, and twisting upside down. The researchers are even programming it to hang upside down like an actual bat. The Bat Bot was inspired by the Egyptian Fruit Bat. It’s also autonomous — sort of. It is programmed to “learn” to control and regulate its flying and to sense obstacles in its path. It’s been tedious for the researchers, as even the slightest error can send Bat Bot plunging. It’s different from drone technology in that it doesn’t use propellers, making it safer for situations when it has to work near humans. The bot has a small motor, but it is more energy-efficient because it doesn’t rely as heavily on it and uses the wind to push itself in any direction. It will also fly in very tight spots, making it ideal for disaster relief and construction sites. So, will “B2” — its nickname — ever be able to control its own direction while in-flight? “That’s a different level of autonomy to think about in the future,” Chung tells Inverse. The robot will also be able to move between floors to find survivors, deliver medicine, and even assess buildings for faults in structural integrity. Though, with all of this wonderful innovation comes a trade-off. The more complex the technology, the more challenging the repair. Some of those problems have been the battery in the motor, which only lasts about six minutes (though its ability to harness the wind affords it more time) and the inherent instability of the bot, being that it is so flimsy. The researchers still have a lot of kinks to work out before the Bat Bot’s technology can be used by commercial drones, but they expect it to be marketable within a couple of years. In the meantime, those noisy hovering drones will just have to do.